Massive Open Online Course (MOOC) was a term first coined in 2008 by Dave Cormier of the University of Prince Edward Island to describe a course made available both to fee-paying students and online to several thousand more students from the general public without charge. In 2011, Stanford University professor Sebastian Thrun made his introductory course in artificial intelligence available as an online broadcast. Within three months, over 160,000 students had viewed the lectures. Since that time MOOCs have developed into a phenomenon that has been embraced with enthusiasm by millions of students and provoked both optimism and consternation inside educational institutions. The inaugural Innovation in Knowledge Organisation (IKO) conference was held in Singapore 8-9 June 2015. IKO was created to showcase innovations in knowledge organisation, whether through the application of innovative methods and technologies, or novel combinations of methods and technologies. This article provides an overview of the key presentation and discussion topics for the conference with reflections on the broader themes that emerged across the two days and what these might mean for information professionals. Thanks to YouTube and other hosting sites, video presentations have become a standard medium for conveying instructions, reviewing products or services, training, or simply imparting information. This has been matched by a steady growth in tools with which ordinary users can create, edit and enhance videos of their own. This article looks at some of the tools and techniques available for making and distributing simple screen-based video tutorials recorded directly from a computer – a technique known as screencasting. The focus is on Windows-based software, but other platforms such as Linux and Macintosh have similar capabilities. Strong relationships drive data sharing initiatives, not just individuals or single institutions. The Australian Institute of Aboriginal and Torres Strait Islander Studies (AIATSIS) is involved in several case studies illustrating what is necessary and what is possible in the world of information retrieval. A crowd sourcing project aims to evaluate the efficiency and usefulness of employing experts as indexers. 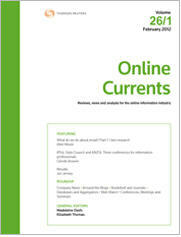 For the PDF version of the table of contents, click here: OLC Vol 29 No 4 Contents.